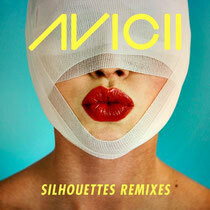 Avicii recently revealed the identities of the three artists set to make-up his official ‘Silhouettes’ remix package, in a two-minute video trailer produced and directed by At Night management. Hand-plucked, the edits and reworks - which will be released through his LE7ELS record label on Beatport in the coming weeks - come from electro house mainstay Lazy Rich, EDX with his ‘Arena Club Mix’ and last but by certainly no means least, upcoming superstar and “one to watch” Syn Cole with his exclusive ‘Creamfields Mix’. Hailing from a small town in Estonia, 24-year-old DJ/producer Syn Cole has been tipped to blow up on the EDM scene after being snapped up by Avicii’s record label earlier this month. With a debut appearance at UK dance festival Creamfields imminent on August Bank Holiday weekend, Cole is now poised to follow through with an arsenal of electronic tracks on the Swedish imprint.